Could it be the Sun? Vegetable gardeners know the importance of the Sun to growing their crops. Is it that much of a stretch to believe that the Sun is also important to both the animal kingdom and mankind? Due to an explosion of new research papers being published over the last couple of decades, there is a vitamin D revolution going on in natural health circles. People are no longer afraid of sunshine because of the simply amazing health benefits of vitamin D.
This article on the vitamin D sunshine hypothesis lays out a commonsense foundation as to why taking much more than 400 IU a day through vitamin D supplementation gives people simply amazing health benefits. Could it be all about vitamin D sunshine synthesis? According to the Christian biblical account of the Garden of Eden, Adam and Eve ate from the tree of knowledge, put on clothes, and were kicked out. Ever since then, mankind has been sick. The evolution and history of vitamin D.
How far back in time does the synthesis of vitamin D from the Sun go? Phytoplankton made vitamin D 750 million years ago. Phytoplankton is why wild salmon contain some vitamin D as a food source while farm-raised salmon does NOT. Most vertebrates produce vitamin D in the animal kingdom. Vertebrates are animals with backbones and include many species of fish that first originated about 525 million years ago. The need for strong backbones and skeletons is why most animals synthesize vitamin D from the Sun. Vitamin D is converted from a precursor chemical called 7-dehydrocholesterol. When 7-dehydrocholesterol is exposed to ultraviolet-B radiation through the skin, it is converted into cholecalciferol or vitamin D-3. 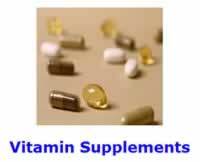 Mankind evolved with huge amounts of vitamin D-3 (cholecalciferol) circulating in his blood. According to the science of evolution, man evolved from primates that lived on the African Savannah over a few million years. Mankind, classified as Homo sapiens, unlike the other primates, walks on two legs, without any fur or body hair. The important point being that primitive man walked around naked in Africa all day long, close to the equator for tens of thousands of years, long before mankind ever put on clothes and migrated away to populate the entire planet. Furthermore, every location in Africa is capable of vitamin D skin synthesis all year round. Vitamin D Hypothesis: Could it be the Vitamin D? Agriculture is generally believed to have developed some 10,000 years ago. Since then the majority of the human population has worked fully clothed in Europe in the fields exposed to solar radiation and the elements up until the start of the industrial revolution (c.1750-1800) in Britain. In an industrialized society, most of the population works indoors away from the effects of the elements and sunlight. Over the ages, humanity according to the vitamin D hypothesis has gotten progressively sicker. In the new millennium, the younger generation has given up their previous interest in participating in summer sports for their current preoccupation with technology, computers, videos, video games and other indoor leisure activities. As a result, the segment of the population with the lowest blood levels of vitamin D is currently the 18 and under age group. The vitamin D sunshine hypothesis in a nutshell. Man evolved, and accordingly should do best health wise, under extremely high blood vitamin D levels synthesized from sunshine, all year round. Thus, reverting back to the optimum high serum 25(OH)D levels that were routinely experienced by man over 10,000 years ago from our currently shockingly low average levels of 20 ng/ml, or 50 nmol/L, should conceivably result in amazing health benefits. You are more likely to catch a cold or suffer from the flu in the winter than in the Summer time. Have you ever noticed that you always manage to catch the common cold in winter, but hardly ever during summer time? The vitamin D sunshine hypothesis offers a simple explanation for this phenomenon. The ultraviolet-B rays of the Sun are stronger during the summer months than in winter. For large segments of the population in North America, no vitamin D is being synthesized during winter. Once you are depleted in vitamin D, you are more likely to catch a cold. Vitamin D has been shown to protect you against both the common cold and influenza. More people die from cancer in the northern parts of the United States than they do in the South. This phenomenon exists, but is NOT so obvious unless you happen to be aware of the data. Graphs are often used to make raw data more meaningful. Organizations in the United States have been keeping track of deaths and deaths from cancer for years. When cancer death rates from cancer are graphed onto maps of the United States the disparities between total cancer deaths in the North and South becomes visible using the '70s data. "As early as 1941, people who live at higher latitudes in the United States were noted to have increased risks of breast, colon, and prostate cancers. ", This phenomenon was later noticed by the Garland brothers. Cedric and Frank Garland reasoned that differences in sunshine, and thus vitamin D synthesis by the Sun, might offer a simple explanation. Years later, they published a research study in 1980 that suggested this precise phenomena. Using the '70s data, there is a visible correlation for total cancer death maps, which no longer is visible with more recent data. However, maps showing death rates for colon, breast, prostate, and ovarian cancer still show very distinctive North South disparities in death rates. Differences in cancer death rates between the Northwest and the Northeast are allegedly due to a thicker ozone layer, more smog, and colder winters in the Northeast. In addition, the graphical correlation on these cancer death rate maps are far from perfect, but are none the less strongly suggestive of a correlation between vitamin D levels and deaths from cancers that have over the years been supported by hundreds of scientific research studies. Please read our Medical Advice Disclaimer. Clin J Am Soc Nephrol. 2008 Sep;3(5):1535-41. Epub 2008 Jun 4. The relation of solar radiation to cancer mortality in North America. Cancer Res. 1941 Mar 1;1:191-195. Do sunlight and vitamin D reduce the likelihood of colon cancer? Int J Epidemiol. 1980 Sep;9(3):227-31. The role of vitamin D in cancer prevention. Garland CF, Garland FC, Gorham ED, Lipkin M, Newmark H, Mohr SB, Holick MF. Am J Public Health. 2006 Feb;96(2):252-61. Epub 2005 Dec 27. Review. Benefits and requirements of vitamin D for optimal health: a review. Altern Med Rev. 2005 Jun;10(2):94-111. Review. Vitamin D status of clinical practice populations at higher latitudes: analysis and applications. Int J Environ Res Public Health. 2009 Jan;6(1):151-73. Epub 2009 Jan 7.